Great Idea for Bachelorette Party! Looking for something a little different? 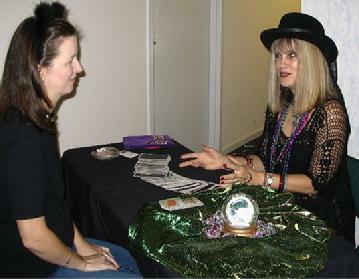 Hire a fortune teller for your bachelorette party! We have psychics, card readers, astrologers and palm readers to add fun and excitement to your special occasion. Special attention will be given to the upcoming bride and her future. Have an astrologer give a positive yet amusing overview of the compatibility between the bride and groom that will have everyone laughing. After the bride is given her spotlight, each person will have her turn with the fortune teller, too! It's sure to be a night everyone will remember, even more than a stripper! 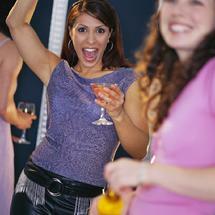 Call Karen at 404-931-6356 to receive even more ideas and information to make your bachelorette party a real blast!